As a Runescape player,what kind of skilling pet you want to get?Want to get a skilling pet in 2007 Runescape even you know skillers have a slim chance to get a skilling pet? It is really cool to have one of these pet follow you around in game, however, it is not that easy to get one. The chances of getting a skilling pet are dependent on the player's skill level, and the time it takes to gather a resource. Here are the skilling pet drop rates in Old School Runescape. If you are luckily enough to get one in game, make sure to have your pet insured. You can do this by paying one-time fee of 500,000 coins to Probita in East Ardougne. You can 1,000,000 RS 2007 gold if you lost it in game. 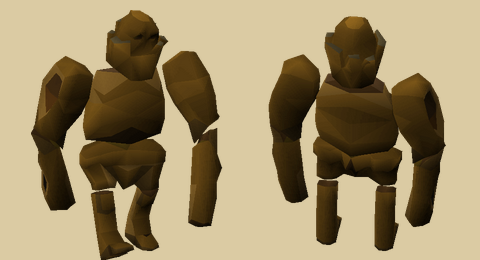 Since it is not easy to get a skilling pet, so it is wise for you to insure your skilling pet if you have one.If you are in need of OSRS gold for a skilling pet, you can always buy RS 07 gold cheap on Rs3hot. Besides, you can bookmark Rs3hot.com and get 10% discount code on our site.Have Fun!